The D.C. area has been enjoying unseasonably high temperatures this week, but the warm weather won’t last. 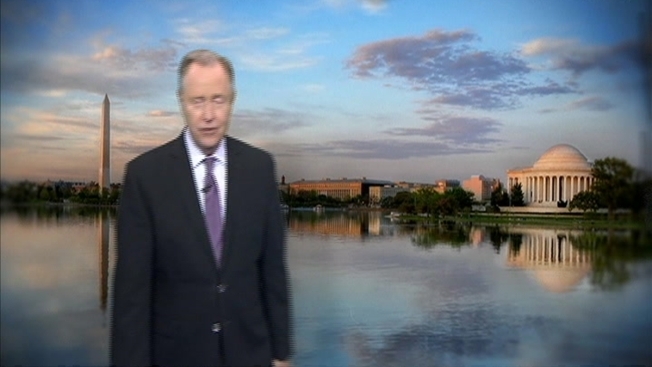 StormTeam4’s Tom Kierein says Friday will be our last day of “summer in October,” with temperatures in the low 70s. Rain showers may move into the area Friday afternoon, but D.C. will really start to feel the season change Saturday. Blustery 30-40 mph winds and morning temperatures in the 40s are expected. Saturday’s high will be 59 degrees. You only have a few more months to visit Bao Bao at the National Zoo: the 3-year-old giant panda will be moving to China within the first few months of 2017, the Zoo announced Thursday. All panda cubs born at the zoo move to China by they time they turn 4. Bao Bao will turn 4 on Aug. 23, 2017. The Zoo’s giant pandas typically have outdoor access between 7:30 a.m. and 2 p.m., but they may also stay in their indoor viewing area on the Asia Trail depending on the weather. The David M. Rubenstein Family Giant Panda Habitat will close at 3:30 on Friday, so head over early to beat lines and crowds. If you can't get enough of the National Zoo, stick around for the annual "Boo at the Zoo" Friday at 5:30. The Panda House will be closed for the event, but with magicians, jugglers, animal demonstrations and more than 40 treat stations, kids and adults alike can start celebrating Halloween early. The Middleburg Film Festival offers four days of movie screenings, filmmaker Q and A’s and other special events. This year’s lineup includes "Edge of Seventeen," a coming of age story starring Hailee Steinfeld; Natalie Portman’s Jacqueline Kennedy biopic “Jackie”; and “Loving,” the story of an interracial couple in Virginia that made history when they took a lawsuit to the Supreme Court to protect their marriage. The festival will host a panel on Women in Film Friday morning at 9:30. You can also catch a variety of movies Friday morning and afternoon, including Cannes Palme D’Or winner “I, Daniel Blake,” which tells the story of widowed carpenter seeking disability benefits, and “Sonita,” a documentary about an Afghan refugee pursuing her dream of becoming a famous rapper, while her family arranges to sell her into marriage for $9,000. Most individual screening tickets sell for between $10 and $15 dollars. Check out a full schedule of events here. Howard University will offer live stage performances from noon to 6 p.m. as part of their annual Yardfest. This year, rapper Fabolous, hip-hop artist Common and R&B singer Faith Evans will headline the Howard tradition. You don’t have to wait for Cherry Blossom season to see some beautiful trees in D.C. Head over to the Tidal Basin, Capitol Hill or the National Mall to enjoy some stunning views, without the Cherry Blossom festival crowds. Want to escape the district for the day? Head to Great Falls Park in Maryland and Virginia to hike the Billy Goat Trail or enjoy beautiful views of the Potomac River. Harpers Ferry in nearby West Virginia also offers amazing hiking trails and views of the foliage. D.C. area food trucks offer a variety of quick eating options: from milk and cookies to tacos and Vietnamese Pho. The Washington Post Thursday named Dirty South Deli the best food truck in the District, followed by Swizzler’s gourmet hot dogs and DC Empanadas. Try them out Friday and decide for yourself how they stack up against your favorite truck.